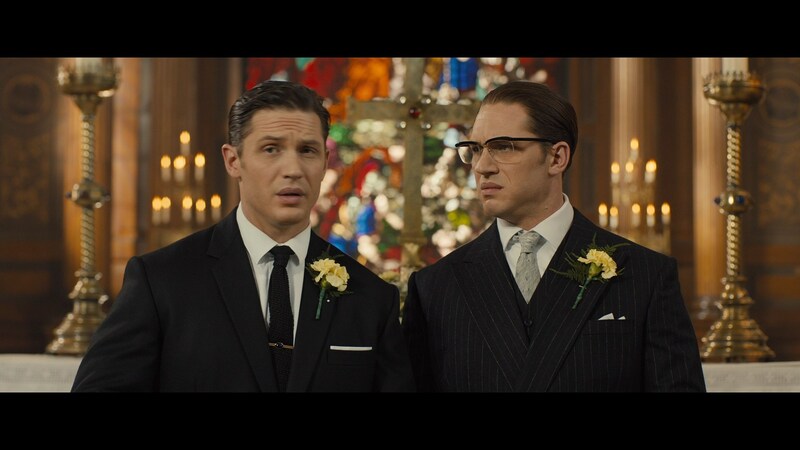 Reggie Kray’s (Tom Hardy) cuff links and tie clip from Brian Helgeland’s 2015 film about the notorious Kray twins, Legend. 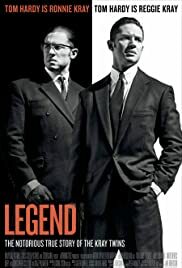 The film tells the story of how, during the 1960s, London was terrorised by gangster twins Ronnie (Tom Hardy) and Reggie Kray (also Tom Hardy). 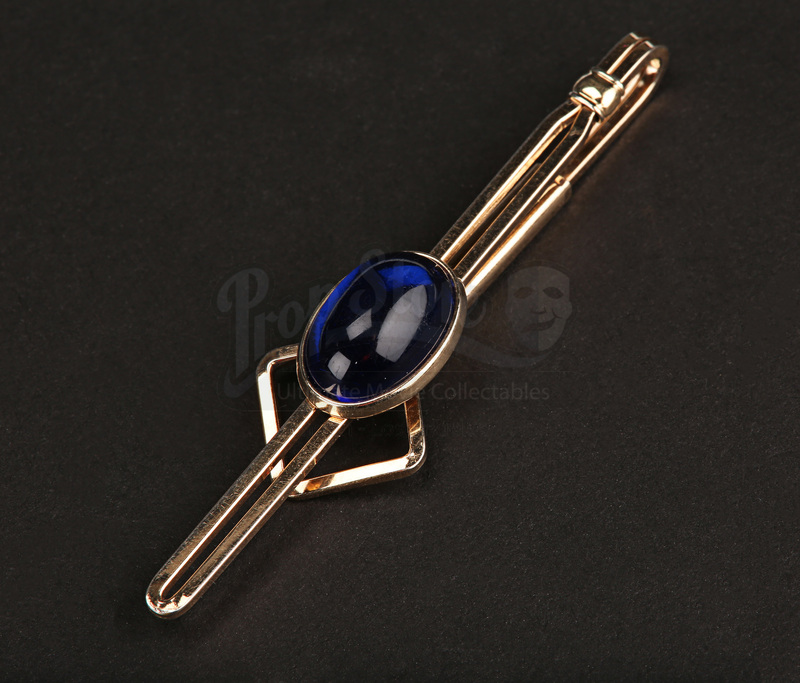 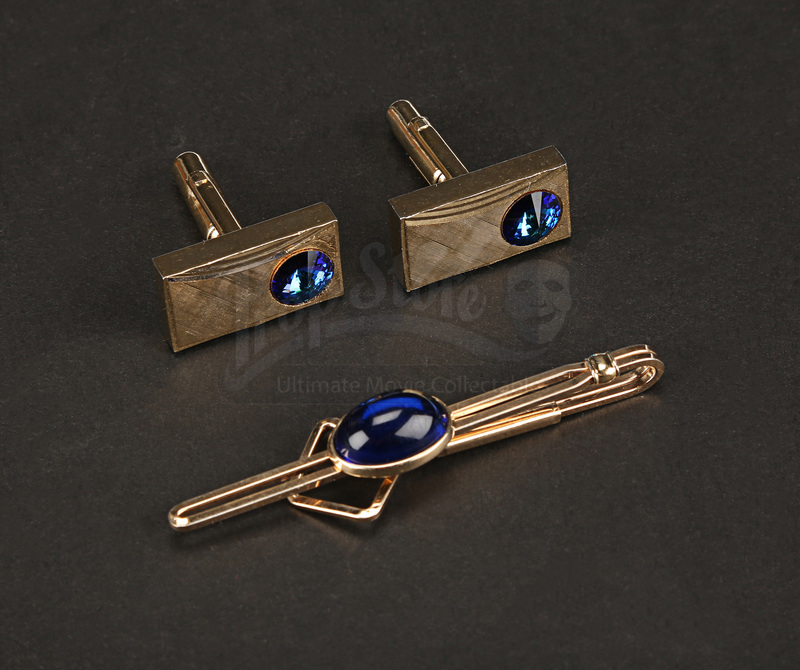 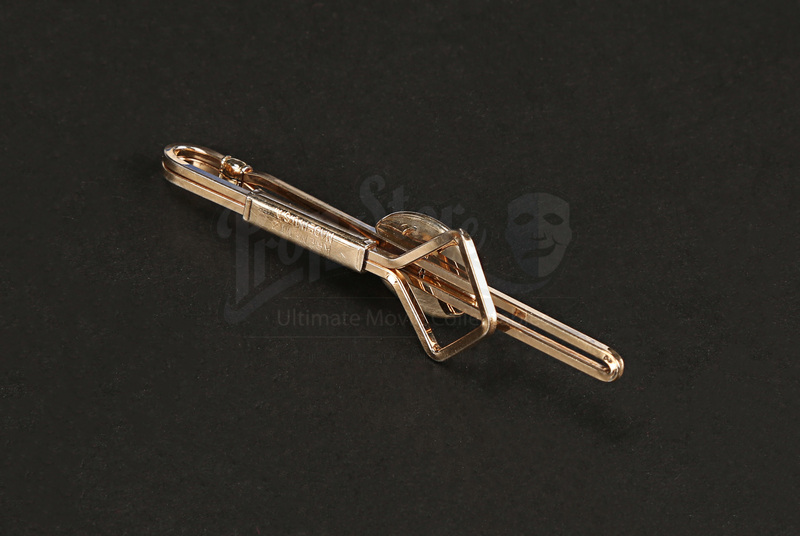 This tie clip and cuff link set were used on the production and appear in the scene in which Reggie marries Frances (Emily Browning). 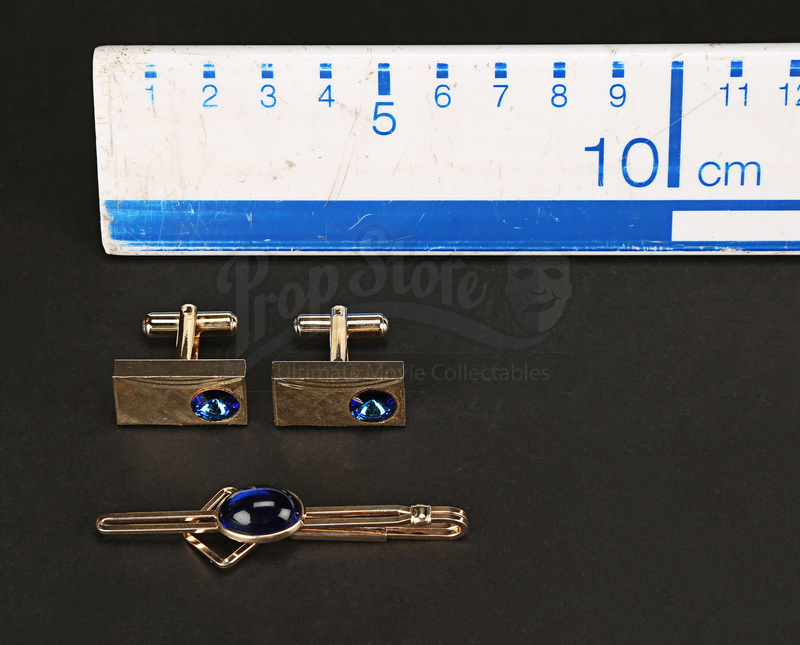 The tie clip can be seen on Reggie’s tie during the ceremony, and although the cufflinks are not obviously onscreen, they all come as a set with similar blue gems set into golden metal. 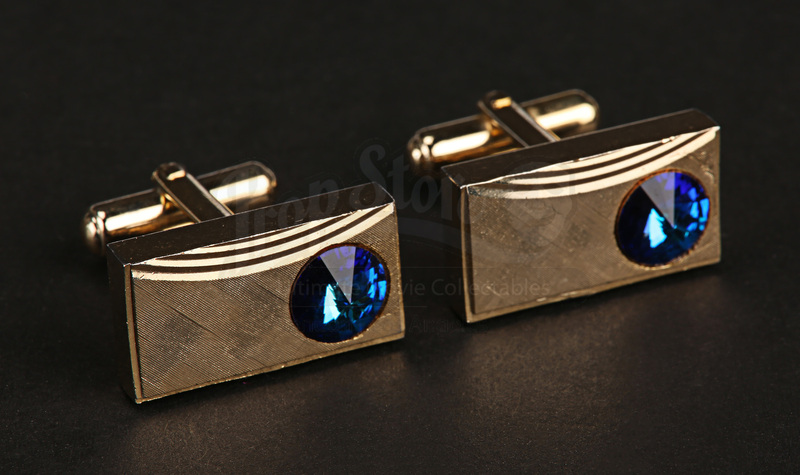 Made of metal with plastic ‘gems’, the items show some very minor wear from production use, including some small scuffs and scratches, but they otherwise remain in an excellent condition.